JEDDAH – The Islamic finance industry has witnessed “phenomenal growth” over the past decade, the total assets of Islamic financial institutions will cross the $2trilion mark by the end of the next year, a major milestone in the history of this segment of the global economy, according to an expert. “The future course of Islamic finance will not be decided on numbers but on the health of these institutions,” Ashar Nazim, Partner, Head of Islamic Banking Excellence Center, Ernst & Young told a media briefing on Tuesday. World Islamic Banking Conference (WIBC) Chief Executive David McLean said Sunday in Manama at a press conference announcing the 20th anniversary special edition of the WIBC to be held in Manama on Dec. 3-5, 2013 with the support of Prince Khalifa bin Salman Al-Khalifa, prime minister of Bahrain. 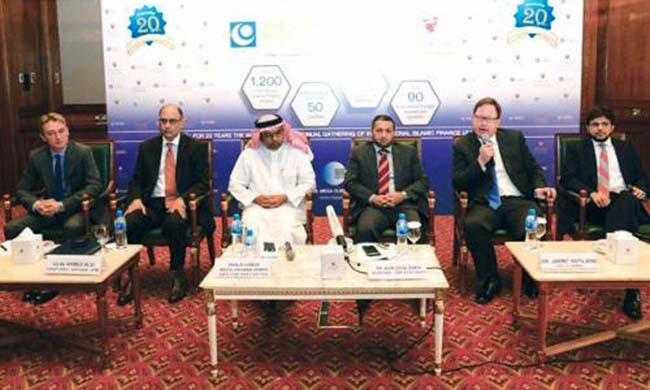 The event is also backed by the Central Bank of Bahrain, the organizers told a press conference at the launch of the 20th anniversary edition of the WIBC. Rasheed Mohammed Al-Maraj, governor of the Central Bank of Bahrain, will open the main WIBC 2013 conference, which begins on Dec. 4. The WIBC, in its 20th Anniversary celebrations, will set the stage for pioneers, industry titans and global leaders who have trail-blazed the development of Islamic finance to gather in Bahrain not only to celebrate the tremendous growth that the international Islamic finance industry has achieved over the past 2 decades but also to revisit and re-mold the critical success factors that will enable the industry to achieve the next set of milestones. The inaugural address will be followed by a special keynote address by Saeed Abdul Jalil Al-Fahim, chairman of the board of the International Investment Bank Bahrain. This year’s WIBC features the most impressive line-up of speakers in the conference’s 20 years of history. Talking about the growth in Sukuk market, Nazim said the total size of sukuk was $5 billion in 2003 and in ten years it reached $85 billion in the first three quarters this year while the 2012 was closed at $134 billion. “Twenty years ago when Ernst & Young was the only partner with World Islamic Banking Conference (WIBC), the question was whether we stay or not, and down the road after two decades the question of staying has been answered. Now these many challenges and opportunities,” he added. 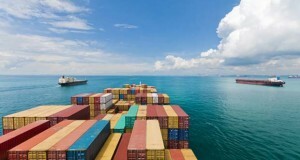 “The ongoing re-balancing of the world economy means that a group of 25 Rapid Growth Markets (RGMs) will decisively dominate the GDP growth and the trade flows between now and 2020. The future success of Islamic finance hinges upon being embedded in these markets,” Asher added. “It is in this backdrop of evolving business structures and strategies that the EY World Islamic Banking Competitiveness Report (2013/14) takes a deeper look at some of the underlying trends and transformational approaches at leading and start-up Islamic banks”, he added. “For the past two decades the annual World Islamic Banking Conference has remained the world’s largest and most influential annual gathering of international leaders in the global Islamic banking and finance industry,” outlining the plans for the special anniversary edition of the World Islamic Banking Conference (WIBC), David McLean, Chief Executive of WIBC, said. 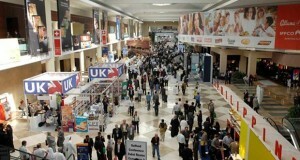 “From a mere 120 pioneering delegates at its launch way back in 1994, the 20th Anniversary WIBC is set to continue its tradition of supporting growth, excellence and innovation in the industry – and is poised break new records in 2013 with more than 1,300 attendees from over 50 countries set to join over 90 high-profile speakers and 60 market-leading partners and sponsors for a very special and unique event that will celebrate the tremendous achievements made thus far and prepare the industry to forge ahead with more success in the years ahead,” he added. “Our decision to choose Bahrain to host the first edition of the WIBC was right as we have witnessed growth over the past two decades and we remain committed,” McLean said. “Much has been said about the phenomenal growth of the Islamic finance industry over the past decade – and the growth rates have been outstandingly impressive. Industry supporters have also lauded how successfully Islamic banking has largely weathered the global economic crisis that engulfed the conventional banking industry. However, notwithstanding these achievements, much still needs to be done if the industry is to truly come of age and play its part on the world stage as a powerful form of ethical finance,” McLean, said. “The theme of the 20th Anniversary WIBC 2013 will focus on ‘Industry Transformation to Improve Global Competitiveness’ across key areas of the Islamic finance sector, including regulatory, strategic, Shariah, operational and risk transformation to ensure that the industry is able to build critical mass, expand its geographic reach and depth, and participate in large-scale deals seamlessly across jurisdictions – and, ultimately and most importantly, to successfully meet the needs of an ever-growing base of sophisticated investors, customers and end-users,” McLean said. The event will commence on December 3 with a series of pragmatically focused pre-conference summits led by experienced and respected international industry standard-setting bodies and experts. Speaking about the International Islamic Financial Market (IIFM), which will be hosting a pre-conference seminar on Islamic Capital and Money Markets, Ijlal Ahmed Alvi, CEO of IIFM, said: “While Islamic banking has enjoyed tremendous growth over the past few years, there is undoubtedly substantial room for the industry to expand further particularly in the Islamic capital and money market segment. According to Alvi, though the Islamic Financial Services Industry has now established itself as a viable alternative financial system, the Islamic capital and money markets in many OIC jurisdictions are still in the infancy to development phases. Given the Islamic finance industry’s strong inter-linkages with the global financial system, it is necessary that the Islamic capital and money markets develop the key products to meet the needs of the industry, which are a pre-requisite to bring a risk-sharing approach in the industry. 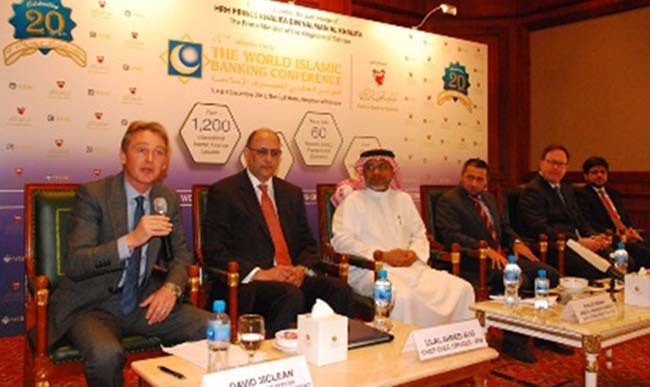 “IIFM will be hosting an industry seminar at the 20th anniversary WIBC 2013 and we would like to invite global leaders in Islamic finance to join us for critical discussions on the way forward in the development of a sound Islamic capital and money market, which is essential for the comprehensive development of the Islamic finance industry globally,” Alvi said. Key highlights of WIBC 2013 include the interactive dialogue with Sheikh Saleh Abdullah Kamel, chairman and founder of Dallah Al Baraka Group; one of the genuine pioneers of the industry and widely acclaimed as the father of contemporary Islamic finance, who will share his perspectives of Islamic finance past, present and future during an onstage conversation with media personality Turki Al-Dakhil of Al Arabiya news channel. In addition, there will be a special guest address by Sir Howard Davies, former chairman, Financial Services Authority, former deputy governor, Bank of England and professor, Sciences Po, Paris. The keynote session featuring him will provide new insights on the future of banking regulation and its implications for Islamic financial institutions. WIBC 2013 will also feature a power debate featuring CEOs and decision-makers from the key players in the industry. Led by Ashar Nazim, partner, head of Islamic Banking Excellence Center, Ernst & Young, and featuring Badlisyah Abdul Ghani, executive director/CEO of CIMB Islamic Bank Berhad; Afaq Khan, CEO, Standard Chartered Saadiq; Toby O’Connor, CEO of the Islamic Bank of Asia; and Steve Troop, group CEO of Barwa Bank, the power debate session will analyze what changes the Islamic finance industry must undergo in order to adapt and evolve to meet the evolving needs of the end-user. The World Islamic Banking Competitiveness Report, an original research project led by Ernst & Young’s award winning Global Islamic Banking Center, will also be launched at WIBC 2013. This year’s special anniversary edition of the WIBC Competitiveness Report will analyze the performance of the industry, the missed opportunities, the strategic priorities, and the transformation that is under way to move the industry to a sustainably profitable path. ‘The World Comes to WIBC Initiative’ has also been further expanded this year and will feature official delegations representing exciting jurisdictions for Islamic finance, including Bahrain, Luxembourg, the UK, Canada and Azerbaijan. WIBC 2013 will also feature a special ceremonial awards function that will recognize excellence, innovation and pioneering initiatives in the global Islamic banking and finance industry. The International Islamic Financial Market (IIFM) will be hosting a pre-conference seminar on Islamic Capital and Money Markets.